Sony Santa Monica has been spending the week celebrating the one year anniversary of Game of the Year winner God of War in the run up to April 20, and fans are convinced they’ve found a sequel tease hidden amidst the revelry. A free dynamic theme which was released as part of the celebrations was discovered to contain a hidden message that teases “Ragnarok is coming.” Given Ragnarok – the end of all things in Norse mythology – was referred to multiple times in the first God of War, it’s believed that this hidden message was no mere coincidence. The game’s director Cory Barlog has now responded to the speculation on Twitter in frustratingly vague fashion, clearing absolutely nothing up and – if anything – leaving fans more convinced than before that Sony Santa Monica has something up its sleeve. Barlog’s response was a simple wide eyed, unsmiling emoji. What does this mean? Is he shocked we’ve cottoned on to the sequel so soon? Is he amazed at how everybody reads into every little too much? Is he just screwing with us? It’s impossible to say at this point, but the fact that he later retweeted the below tweet which reported on his original response suggests that he’s either up to something or just wants to watch us all tear our hair out in excitement. 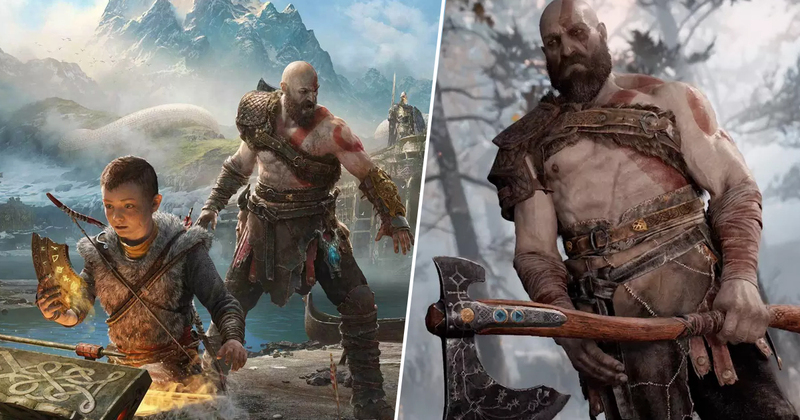 There’s been some hope among fans that Sony Santa Monica will end the week-long anniversary celebrations with some kind of reveal or tease for the next God of War game, but given that it’ll likely be a PlayStation 5 title, we probably won’t hear anything until Sony officially shows off its new console. Then again, Sony did recently confirm a ton of information regarding the PS5, and Barlog response to another fan on Twitter suggests he has a date for a reveal in mind but can’t talk about it yet. If there’s any justice in the world, we’ll find out for sure on April 20. While I really wouldn’t get your hopes up too much, I think we can take away from all this that the next game is currently being worked on in some capacity.